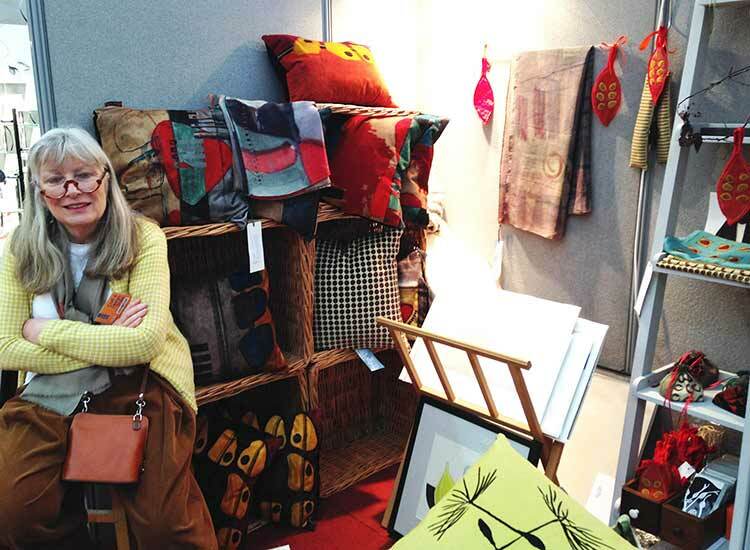 For a wonderful six days late in November 2014 I and more than 100 of the best and most creative contemporary craft designer-makers could be found at RHS Gardens Wisley, Surrey (UK). This event is organised by Craft In Focus for RHS Wisley, and is one of the highlights of the year for exhibitors and - especially - for visitors, for whom it is an unrivalled opportunity to find distinctive and unusual Christmas gifts for families and friends all in one place. I've exhibited my knitwear at this event for a number of years; visitors are also able to see and buy beautiful ceramics, amazing jewellery, hand stitched leatherwork, unusual handmade decorative homewares, and much more. I'm sharing just a few of the photographs I took at the event here. But it's really not possible to convey the quality and sheer variety of the contemporary crafts which were there in just a few pictures - if you haven't visited I strongly suggest that you make a note of this year's event dates in your diary straightaway. I'm very lucky that I get the opportunity to exhibit with such creative and inspiring fellow designer-makers.